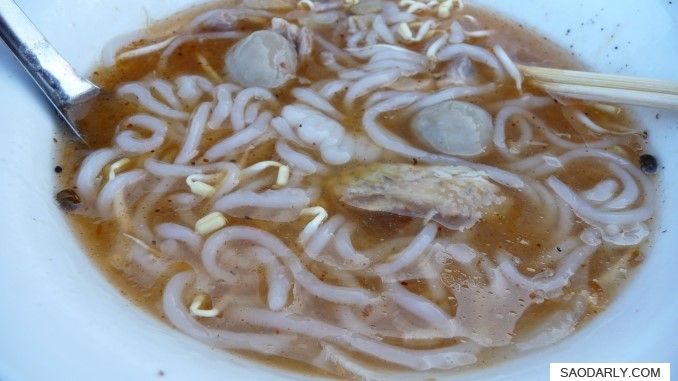 Khao Piak Sen or Rice Noodle Soup for breakfast. 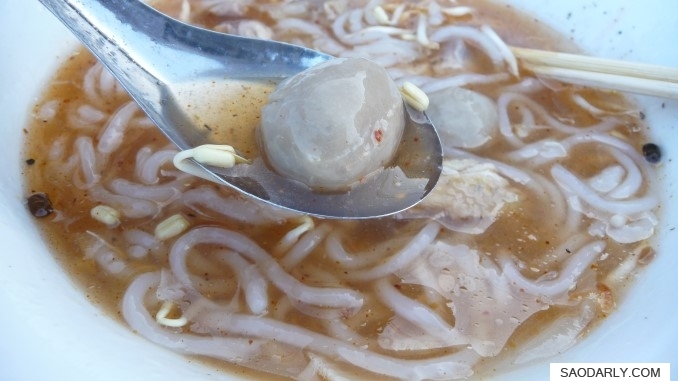 This version of the soup has chicken and meat balls. 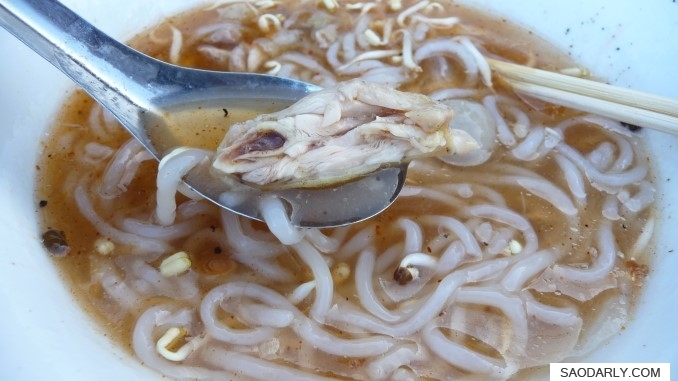 I like to add a bit of chili powder in my Rice Noodle Soup and a bit of lime juice, sugar, and fish sauce for more flavorful taste. I also like plenty of bean sprouts in the soup along with chopped coriander or cilantro leaves. 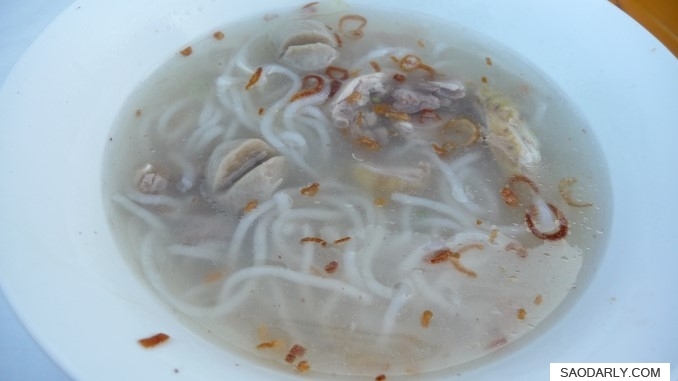 In Laos, most people would eat Khao Piak Sen with herbs and vegetables that would typically be served with Pho Noodle Soup.